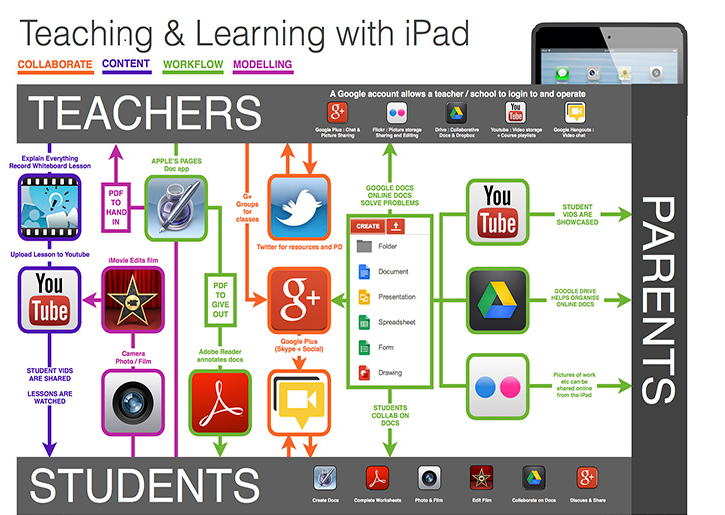 Another site which offers a list of suggestions of apps for teachers to use with iPads. This graphic alone makes this site worth visiting. I like how it shows how key apps can be used with the triad of educational stakeholders – teachers, students, and parents.